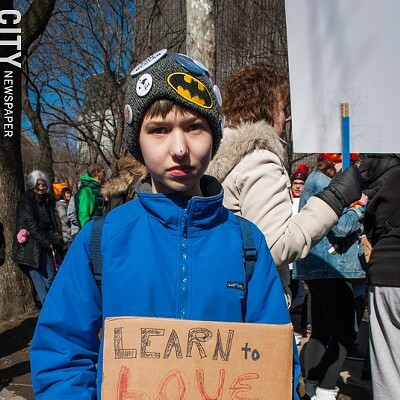 PHOTO BY RYAN WILLIAMSON Around 5000 people filled Washington Square Park for the March for our Lives Rochester rally. 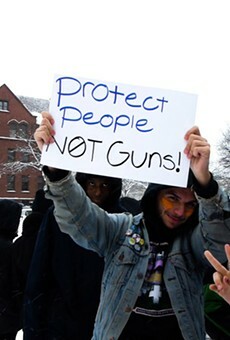 The protest was student-organized and student-led. Students are taking matters into their own hands. 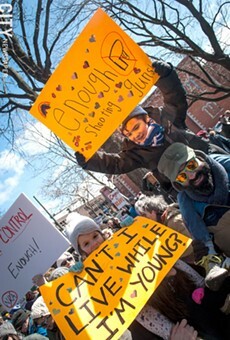 Hundreds of thousands, if not millions, of people rallied Saturday in cities across the US to protest gun violence and demand gun-control action from politicians and leaders. 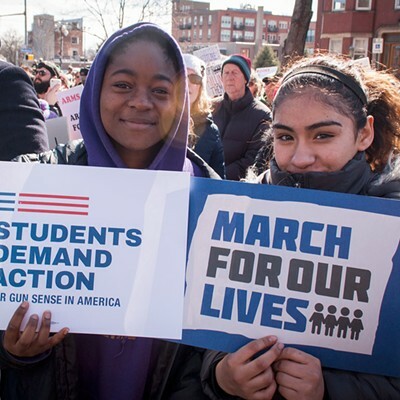 The March for our Lives events have been largely student-organized and student-led. 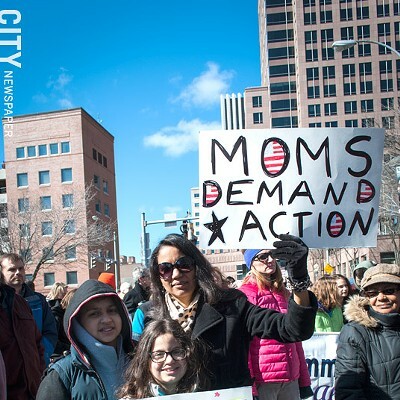 The March for our Lives Rochester rally drew around 5000 people, according to Rochester Police, to Washington Square Park, and included people of all ages listening to high school and college-age speakers tell their stories and call for change. 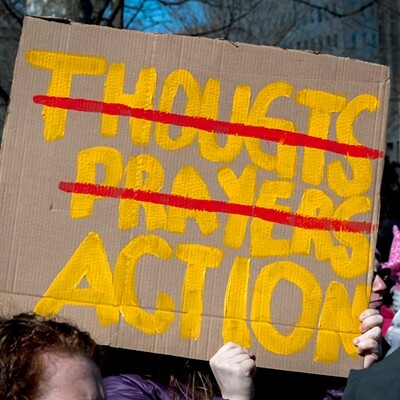 One speaker, a student at SUNY Brockport, is from Sandy Hook, Connecticut, and described the lockdown at her school and hearing the police sirens and helicopters while the shooting took place at nearby Sandy Hook Elementary School. 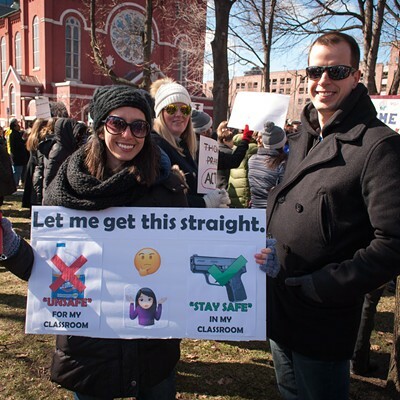 "Why do we wait until more students and teachers lose their lives to remember the last time we said, 'Enough is Enough'?" she asked. "Enough is Enough" has become the rallying cry for students after the death of 17 people during the Stoneman Douglass High School shooting on February 14. On the one-month anniversary, millions of students walked out of class, including people from nearly two dozen Rochester schools. 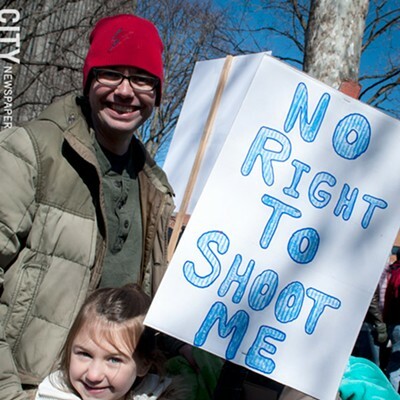 Speakers on Saturday also called for attendees to remember and protest against the gun violence that frequently occurs in some Rochester neighborhoods, particularly impacting black communities. 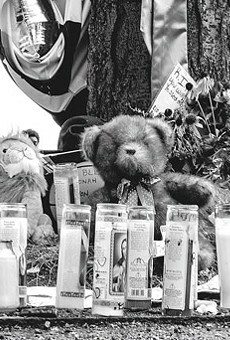 A group of organizers from Teen Empowerment Rochester referred to the August 19, 2015, shooting outside of the Boys and Girls Club on Genesee Street, which left three black boys dead and injured four others. 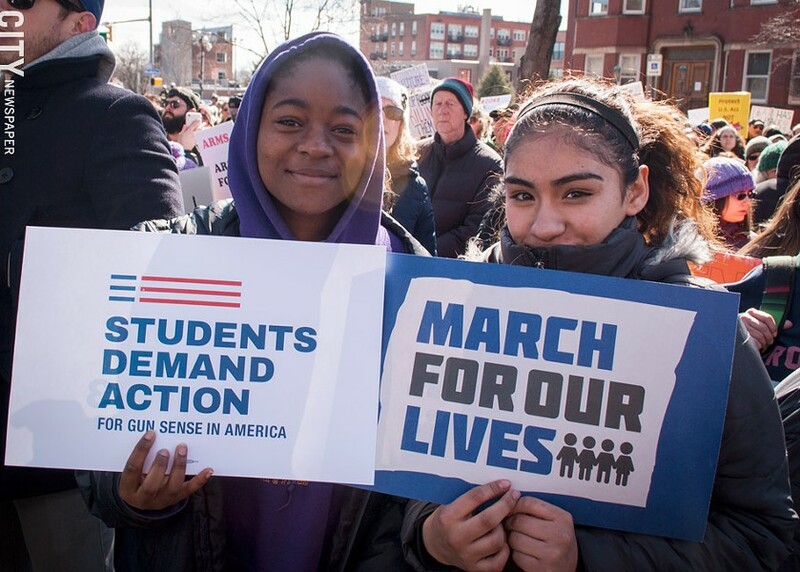 "If this is a march for our lives," one of the organizers said, "let's make sure it's a march for all lives." 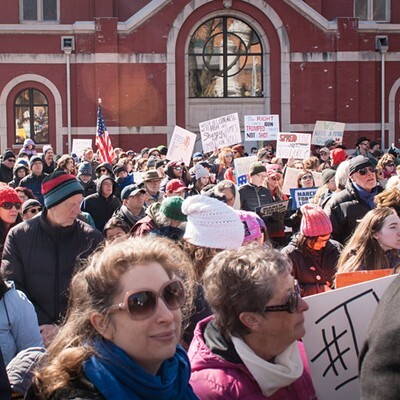 Following the speakers, the rally turned into a march, which went down Court Street, turned along Exchange Boulevard, and back to Washington Square Park by way of Broad Street. 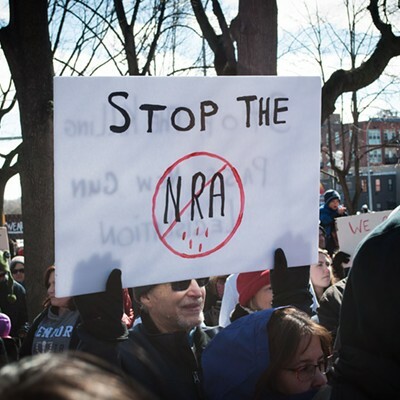 Among the signs were many saying teachers are better with degrees than with firearms, several Black Lives Matter posters, numerous witty jabs at the Nation Rifle Association — and a poster featuring the "Game of Thrones" Eddard Stark meme saying "Midterms are Coming." 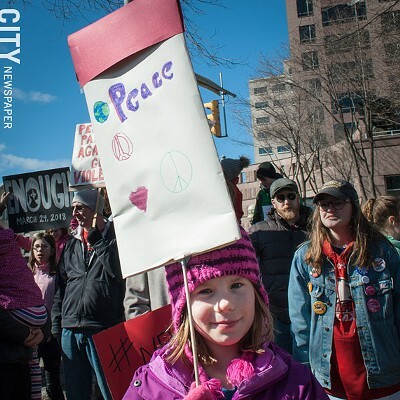 This article has been edited to update the number of rally attendees, reported by Rochester Police Department.